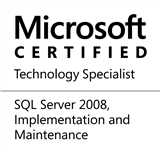 #0187-SQL Server-Quiz-What locks are acquired during Index Maintenance? Winners announced! From an availability perspective, Reorganization is better than a rebuild, because reorganization is always an ONLINE process, i.e. it acquires only short-term locks whereas REBUILD prevents any changes to the underlying table until the operation completes, i.e. it acquires long-term locks. What kinds of locks are acquired during Index Maintenance? To answer this question, let us perform a small test. We will rebuild an index on one of the table within the AdventureWorks sample database, and perform a reorganize on another table, while monitoring the locks acquired. In one session to the SQL Server, run the following query to rebuild the index on the table HumanResources.Employee within the AdventureWorks sample database. As you can see, we are not using the ONLINE clause. While the rebuild is being executed, execute the following query using another query editor window/session to the same SQL Server instance. We can see that during a Rebuild, the SQL server requests a Schema Modification Lock (Sch-M) on the underlying object (i.e. “table”). The Sch-M lock prevents concurrent access to the table, meaning that it blocks all outside operations until the locks are released. In one session to the SQL Server, run the following query to rebuild the index on the table Sales.SalesOrderDetail within the AdventureWorks sample database. Note that we are not using the ONLINE clause. While the reorganize is being executed, execute the following query using another query editor window/session to the same SQL Server instance. We can see that during a Reorganize, the SQL Server requests effectively an Intent Exclusive lock on the table. The table is therefore locked for definition changes (DDL), but is still available for SELECT operations. This is expected because REORGANIZE is always an ONLINE process. CONGRATULATIONS TO ALL THE WINNERS! Expect my DM on your twitter accounts this week-end (or earlier) with more information on your prize – a Pluralsight training code! Edit: August 17, 2012: Statement “The table is therefore locked for changes” has been changed to “The table is therefore locked for definition changes (DDL)” for clarity. This entry was posted in #SQLServer, Blog, Imported from BeyondRelational and tagged #SQLServer on August 16, 2012 by nakulvachhrajani. Nakul, Is it necessary to have twitter account to get a prize ? Couple of points need clarification. 1. Using the sys.dm__tran__locks to inspect the lock requirements may not yield the desired result since the DMV only gives a point in time snapshot of the locks. To see and understand what locks are really required for an operation, one should capture the Locks Acquired and Locks Released events in Profiler with a filter on the SPID. 2. Your stament about REORGANIZE – “The table is therefore locked for changes, but is still available for SELECT operations” – is confusing. You can perform ALL DML operations while the REORGANIZE is running. the IX lock is compatible with another IX lock. Afterall that is the whole point of an operation being ONLINE. @Olga: A twitter account would be better, but in case you don’t plan to have one, can you send me an E-mail through this website? I will send over your codes via E-mail. The AdvenutreWorks is a small database. Therefore, using `sys.dm_tran_locks` on a fast server may not yield the required results – true. However, from a representational standpoint on the blog, I decided to use DMVs. Yes IX are compatible with other IX, which is why DMLs are allowed. Regarding the statement, “The table is therefore locked for changes…” has been updated to “The table is therefore locked for definition changes…” (which was the original intention). Thanks for pointing out that miss. @Nakul, thanks for promo code. Btw, does it have expiry date ?